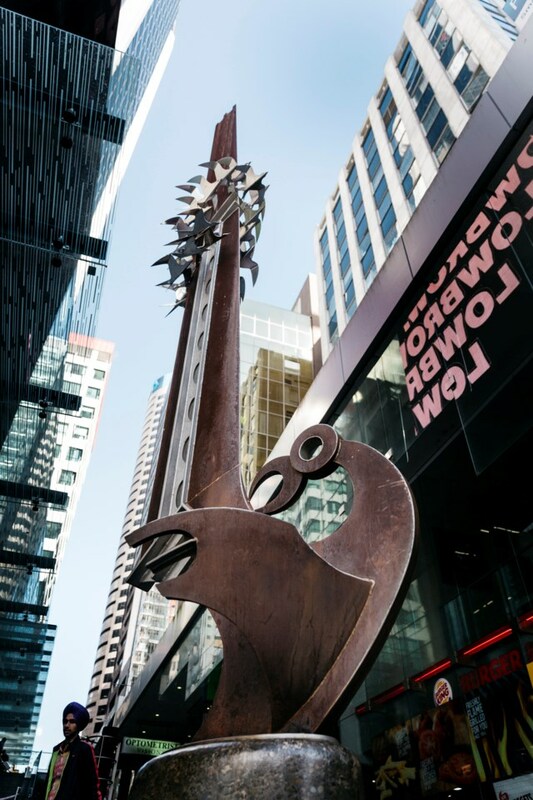 If you're looking for something fun to do with friends and family this summer, then check out our inner-city art trail. 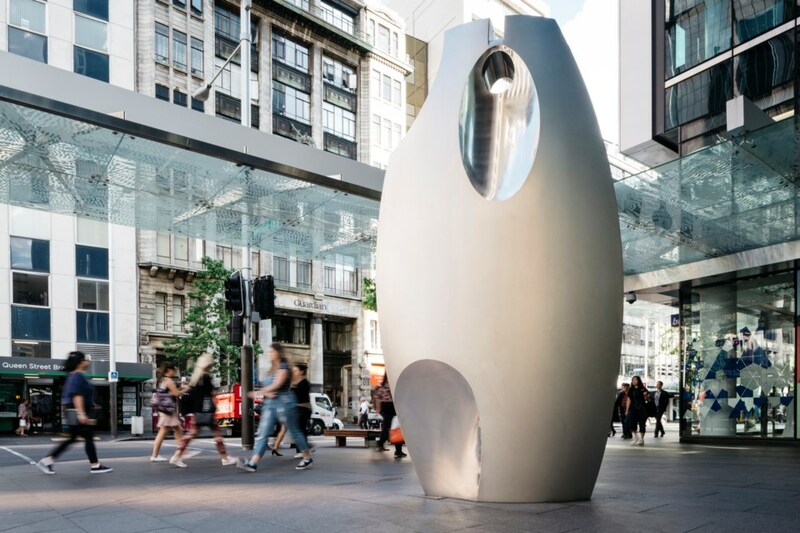 Use #PublicArtAKL to share photos of your favourite artworks on Twitter and Instagram. Check out other people's photos here. Don't Dream it's Over, Janet Lilo, 2017. Outside 445 and 378 Karangahape Road. 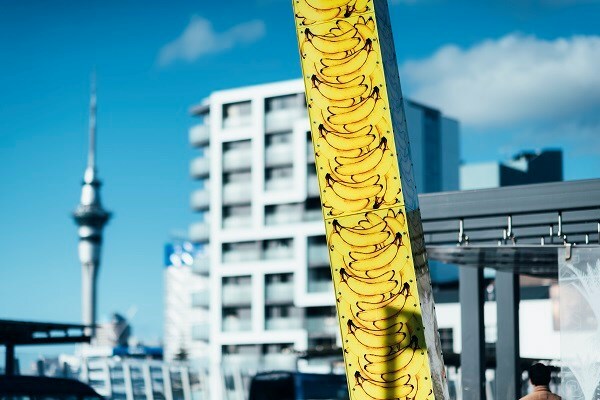 These three striking neon artworks bring a fruity burst of colour and energy to Karangahape Road and illustrate the street's melting pot of history, cultural heritage and community diversity. Why do you think the artist chose bananas for her design? Thief, Tanja McMillan and John Oz, 2015. K’ Road opposite St Kevins Arcade. Spot the surprise combination of Twist, a girl dancing with an elephant by Beresford Square, and Thief, a boy tussling with a pig over a turnip on Karangahape Road. 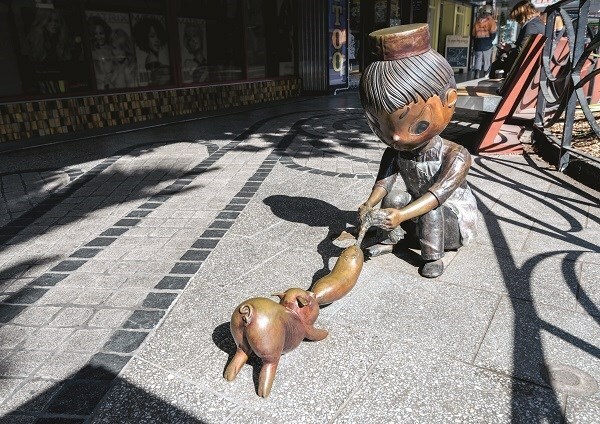 The sculptures celebrate the area's history as a farming district, then a shopping area in the early 1900s. Can you imagine Karangahape Road as farmland? What would it have looked like? Twist, Tanja McMillan and John Oz, 2015. Cnr Beresford Square and Pitt Street. Te Waharoa O Aotea, Selwyn Muru, 1990 (rear side). Aotea Square, Queen Street. 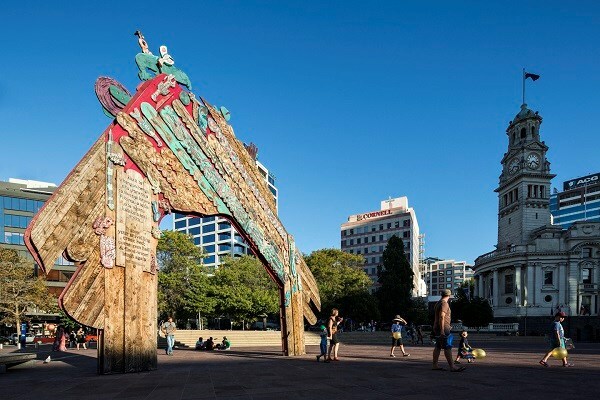 Te Waharoa o Aotea is the gateway to Aotea Square, welcoming visitors with symbols representing the spiritual forces of the sea, sky and land. How many birds, fish and stars can you find? 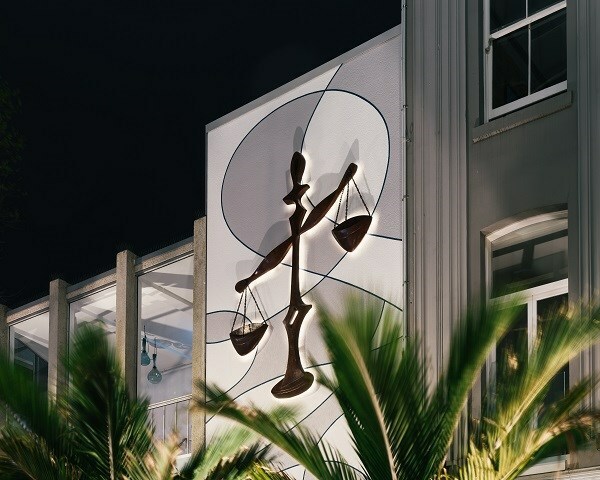 Justice, Lisa Reihana, 2017. O'Connell Street side of Ellen Melville Centre. Justice sits on the O’Connell Street façade of the Ellen Melville Centre, and commemorates women’s advocate Ellen Melville, who had a 37-year legal career. Why do you think the artist chose scales and what do they represent? 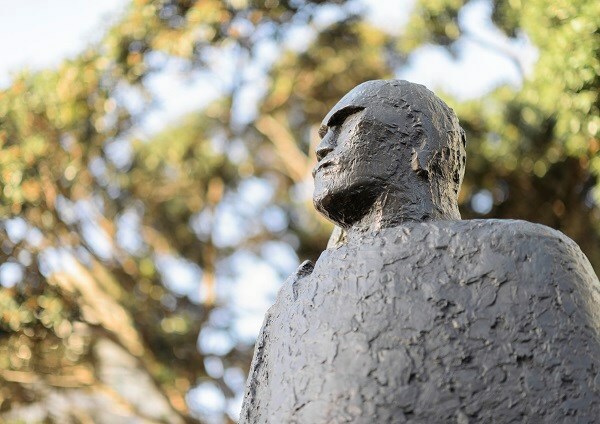 Kaitiaki II, 2009, Fred Graham. Outside BNZ, 80 Queen Street. These works mark the original foreshore and former waka landing area before this area was reclaimed. They sit on the same site where the Ngāti Pāoa iwi kept canoes. Can you imagine what this area would have looked like 150 years ago? Te Waka Taumata o Horotiu (Resting Waka), 2008, Fred Graham. Cnr Queen Street and Swanson Street. A Māori Figure in a Kaitiaki Cloak, Molly Macalister, 1964-1966. Cnr Quay Street and lower Queen Street. 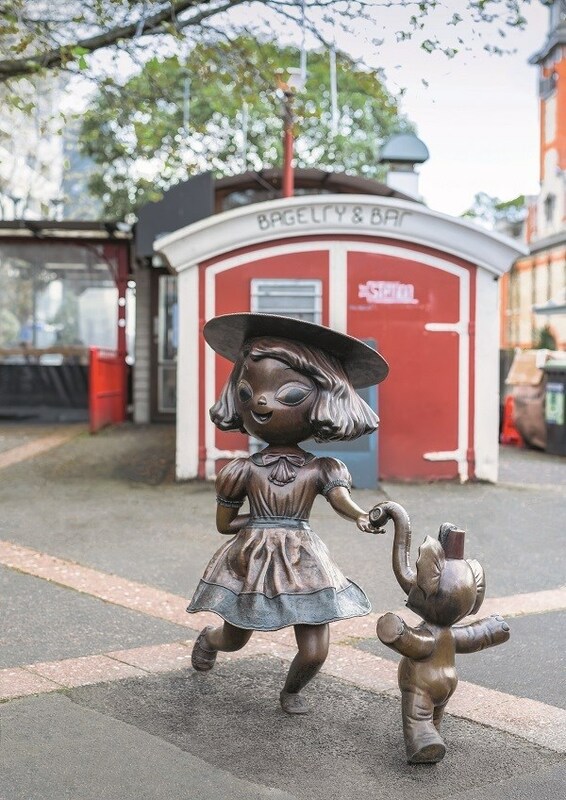 This was the first public artwork in Auckland to be commissioned from a female artist. It was seen as controversial at the time as many argued that the Māori warrior should be in a fighting pose. The artwork greets visitors and new settlers arriving on passenger liners. Do you think this is a modern or classical sculpture? 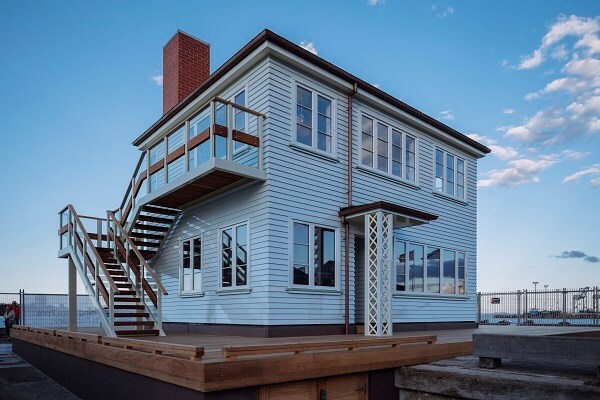 The Lighthouse is a 1:1 replica of a 1950s family home. Its interior features an installation of light and a sculpture entitled The English Channel. Explore the artwork by looking through its windows and doors and by climbing the exterior staircase. What famous person can you see inside?